Containers are wonderful places to explore garden design and plant combinations. No matter what size vour container, it will be more attractive if something is spilling over the edges. The smaller containers are attractive with one plant variety, but large containers need to be planned. In a half whiskey barrel plant something bushy and upright in the center (like three 'Pixie Hybrid II' seedlings) and surround it with such cascading plants as nasturtiums. The contrast of growing habits will make your container look full, abundant, and more interesting. (In addition you'll have a more interesting salad if you include the flowers and pungent leaves of the nasturtium along with the tomatoes.) When combining plants, consider adding flowers for color and fragrance. Our advice: mix and match. Crow radishes around a tomato plant or better yet, some lettuce. 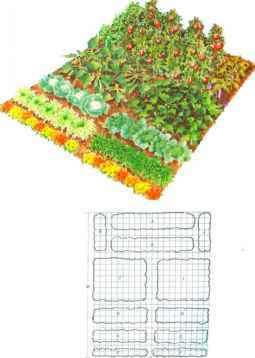 Or grow the radishes, which mature in about four weeks, harvest them, and then plant lettuce and basil. That way you can have three delightful salad ingredients mature at about the same time. A little planning, a little attention, and a large, fresh reward for your dinner table. These varieties slaml light trust: all others cannot tolerate frost. tGixxl for hanging baskets. Unauthorized propagation prohibited—U.S. Variety. Protection applied for—U.S. Protected Variety. NOTE: Most need at least 6 hours of sunshine |mt day. The following may Curlycress", Lettuce. I'arslev. and Spinach. Care of Container Gardens lake a moment to consider the advantages: Garden problems become small or almost nonexistent in a container. Since you'll use sterile soil, soil-borne diseases and insects, weeds, and bugs will not be present. A container garden requires less time, less physical energy, and less overall maintenance. Container gardening does require a little daily or weekly attention, depending on how ambitious your project is. The seeds must be planted (or the nursery plants transplanted), then regularly watered, though lightly. 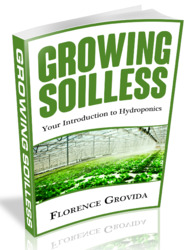 As they begin to produce their fruits, fertilize with a weak water-soluble fertilizer when you water them. Eventually, they will be highly productive. Here is how to start.